medical | Where is @rusnivek? During Emergency Medical Services (EMS) Week, we express our gratitude for the hundreds of thousands of skilled personnel who help save lives in communities across the United States each year. Through the hard work and dedication of these career and volunteer first responders, Americans receive the finest emergency medical treatment in their most vulnerable moments. We also honor those EMS providers who have made the ultimate sacrifice and given their lives in the line of duty. Day or night, in every city, suburb, rural community, or wilderness area, our Nation relies upon EMS providers to respond to every kind of emergency situation to save lives and reduce suffering. In January, when more than 70 tornadoes touched down in Georgia and Mississippi, injuring many, EMS responders were there to help. In March, when wildfires threatened Kansas, Colorado, Oklahoma, and Texas, taking lives and forcing thousands from their homes, our EMS personnel were there providing urgent medical care and patient transportation. Last month, when flooding and tornadoes ravaged Missouri, Arkansas, and Texas, EMS personnel once more came to their neighbors’ aid. Whether they are assisting during natural disasters or providing lifesaving care after car accidents, heart attacks, sports injuries, or violent crime, EMS personnel respond to tens of millions of requests for help each year in our country. We rest easier knowing that they stand ready to answer the call. Over the past 50 years, our Nation’s EMS system has evolved with ever-developing medical, transportation, and communications technologies to meet the changing needs of our communities. The EMS Agenda 2050 project — a joint effort by the National Highway Traffic Safety Administration, the Department of Health and Human Services, the Department of Homeland Security, and the EMS community — will help develop a vision for meeting our communities’ future emergency medical services needs and improve the health of all Americans. We commend these efforts to develop innovative new treatments, advance and adapt medical skills, establish stronger professional standards, and promote public education and health. This week, we thank our EMS professionals for their sustained commitment to excellence and dedication to service, and share our hopes for a bright future that will make us all safer and healthier. NOW, THEREFORE, I, DONALD J. TRUMP, President of the United States of America, by virtue of the authority vested in me by the Constitution and the laws of the United States, do hereby proclaim May 21 through May 27, 2017, as Emergency Medical Services Week. I encourage all Americans to observe this occasion by showing their support for local EMS professionals through appropriate programs, ceremonies, and activities. IN WITNESS WHEREOF, I have hereunto set my hand this nineteenth day of May, in the year of our Lord two thousand seventeen, and of the Independence of the United States of America the two hundred and forty-first. Outstanding work to all Cleveland public safety forces! 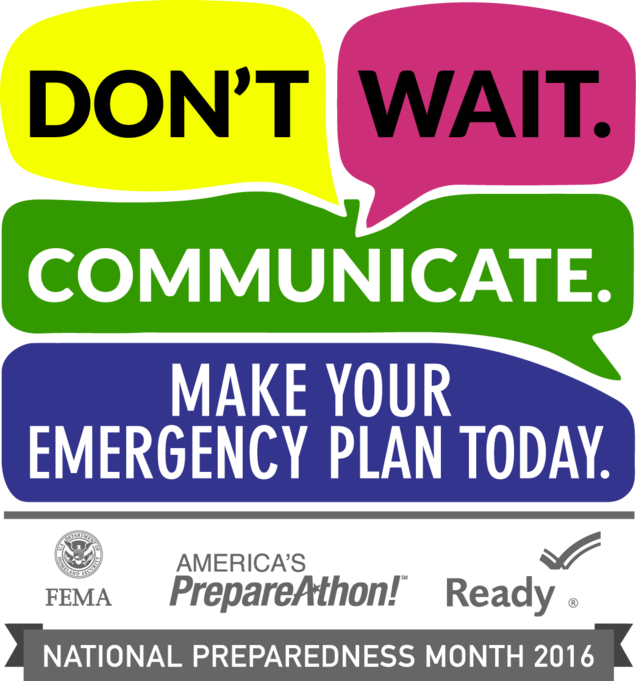 Third solid week of 2016 National Preparedness Month! This week, we honor and celebrate all of our all-hazards first responder who serve tirelessly throughout the country. Every day, thousands of first responders (paid and volunteer) put it all on the line for the general public we know and people we don’t know. Day or night, countless individuals respond to the call and make a difference in each community. In your community, support your local Fire, EMS, Law Enforcement agencies as they work tirelessly to provide safety for all communities big and small. Thanks to a generous allocation of funds from the Bureau of Worker’s Compensation, the Ohio Department of Commerce, Division of State Fire Marshal (SFM) is pleased to announce the availability of the Volunteer Firefighter I Training Grant. This grant provides funding in State Fiscal Year 2017 (ending June 30, 2017) to pay for the costs of providing Firefighter I or Firefighter I Transition certification courses free of charge to select students by SFM approved class providers. 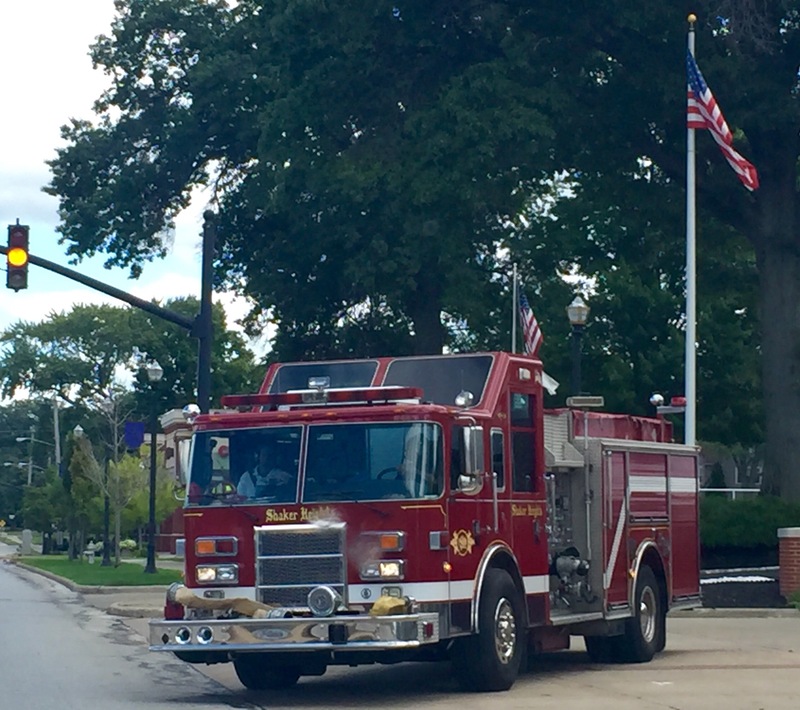 Thanks to a generous allocation of funds from the Bureau of Worker’s Compensation, the Ohio Department of Commerce, Division of State Fire Marshal (SFM) is pleased to announce the availability of the Volunteer Firefighter I Training Grant. This grant provides funding in State Fiscal Year (SFY) 2017 (ending June 30, 2017) to pay for the costs of providing Firefighter I or Firefighter I Transition certification courses free of charge to select students by SFM approved class providers. By partnering with eligible class providers, it is the goal of the SFM to ease the costs to local governments, promote shared services and broaden the availability of these courses throughout the state. Grant funding is limited to $454,711.44 state-wide and will be dispersed to compliant course providers on a first come first serve basis. “Select students” are volunteer firefighters affiliated, as members, with fire departments that pay premiums (or local jurisdictions that pay on behalf of the fire department) to the Bureau of Worker’s Compensation state insurance fund in accordance with Section 4123.35 of the Revised Code and are otherwise in compliance with the Bureau of Worker’s Compensation regulations (“compliant fire departments”). Now go and get your Fire/Rescue Department some free training! SWAT Medics aka Tactical EMS Operators have gained so much more prominence in daily operations. In its infancy, Tactical Emergency Medical Services (TEMS) was made up of a bunch of EMS pros from so many different backgrounds. These days, I’m glad to see my training has paid off and TEMS Operators are respected by their peers in the Fire/EMS Service, but as well as Law Enforcement Officers (LEOs). Heck, even my friends at the FBI has many trained TEMS Operators. Tactical EMS Operators (aka SWAT Medics) are a critical piece of a successful Emergency Medical Service operation. Thank your local Tactical EMS pros for a job well done! Since President Gerald Ford first recognized EMS Week in 1973, communities, hospitals, healthcare organizations, survivors and EMS agencies spend a week every year in May recognizing the lifesaving work of EMS professionals. AROUND THE COUNTRY, EMS Week is celebrated with a variety of events. The EMS Strong campaign seeks to celebrate, unify and inspire the men and women of our nation’s emergency medical services. Created by the American College of Emergency Physicians (ACEP) in partnership with the National Association of Emergency Medical Technicians (NAEMT), EMS Strong brings together associations, EMS services, sponsors and national media to honor the dedication of EMS practitioners nationwide. Pilots and Nurses are also strong part of Emergency Medical Services (EMS). Aeromedical crews work especially hard because they are dealing with the most complex patients and of course…time is of the essence. Left to right: 117KC and 118WS with Mike-Bravo on the fins. Not going to lie, I do miss flying. EMS Pilots, Flight Nurses, Flight Paramedics, Critical Care Nurses and Critical Care Paramedics are all a part of your Emergency Medical Services. Thank your local Emergency Medical Services Professionals for a job well done!